Want to be a hero? One that saves, not only a princess but, the entire kingdom from the reign of terror under an evil pig wizard? A hero that loves wearing all green and who's age is constantly changing from story line to story line? Well, then you'll need a pair of these Hylian Adult Ears! 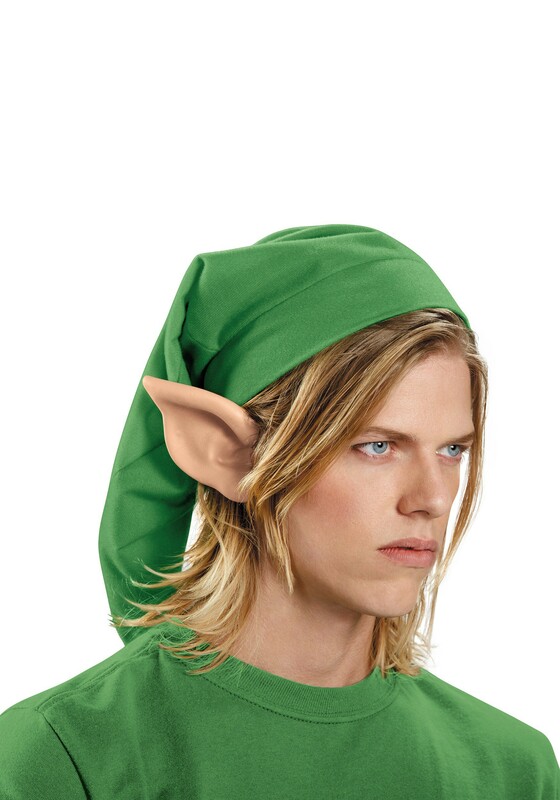 Link is one of the most successful heroes throughout the ages. Sure, the young warrior always had aid from a medley of magical weaponry in order to take down Ganon and his underlings, but we strongly believe it was none of that which ensured each of his victories. No, we think it might have more so to do with his ears inherited through his Hylian bloodline. With those pointy bad boys, Link could easily hear everything going on during his battles. No one, not even Ganon, is able to sneak up on the famous left-handed hero, not as long as he has his Hylian Ears on each side of his noggin. Once you add this set of ear covers to your Link Costume you'll be the ultimate hearo. Just don't let anyone diminish your royal Hylian heritage by asking if you're an elf... trust us, they are not worth your time. Just clear your surroundings of their insolence with a swift swing of your blade and a loud “HIYAH”! I attend an annual senior Halloween party and have purchased several costumes and individual items from here..........never to be dissatisfied. So, thinking ahead I decided I would be an elf for the 2016 party. I had leggings and a shirt but needed the rest. I have to tell you the ears are just to die for, perfect and stay on great. I showed them to my son to surprise him and he got such a kick out of them he wore them around the house on Christmas day. They couldn't be more perfect. Can't wait to wear them and show off my outfit.